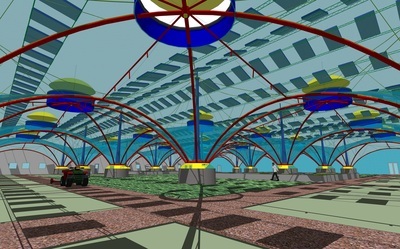 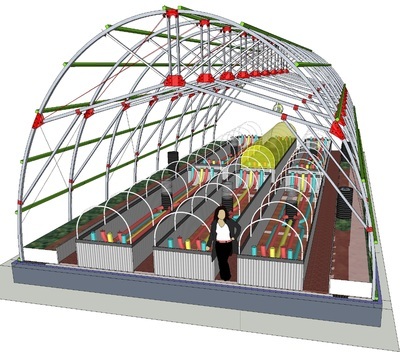 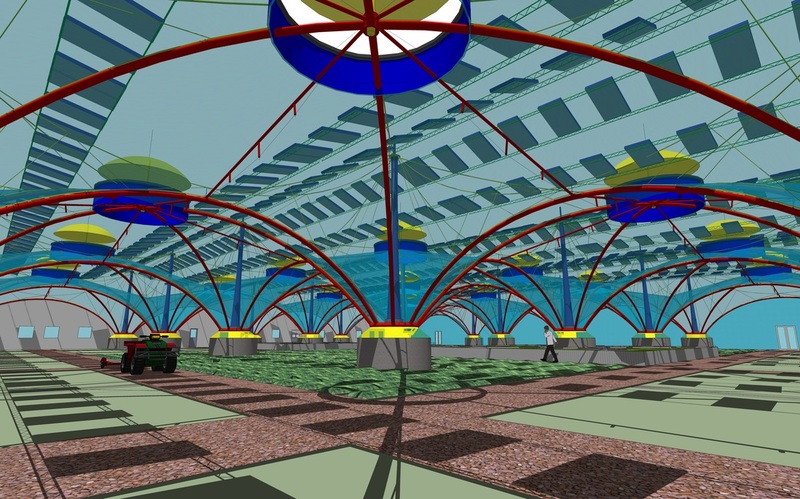 High Tunnels and Hoop Houses - eco systems design, inc. The most economical greenhouse model, in terms of initial cost to erect the structure, is the lightweight hoophouse, or high tunnel greenhouse. 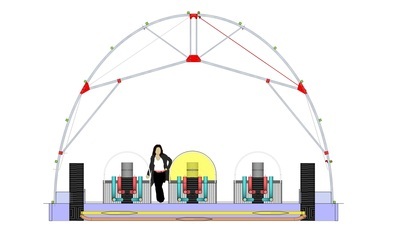 Both types are framed of lightweight metal trusses, covered in similar materials and with similar energy profiles. The hoophouse is generally made of one sweeping curved pipe to make each truss, or bow, while a high tunnel is a little more complex in shape, with vertical sides to create more head height along the edges. 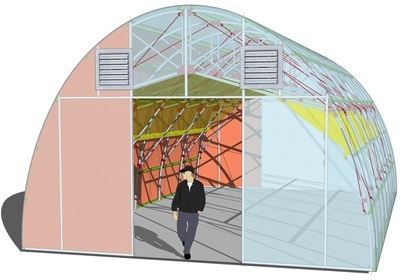 Both structures are designed to be lightweight and inexpensive, but are usually insufficiently strong to resist snow loads, making them limited to warmer climates. 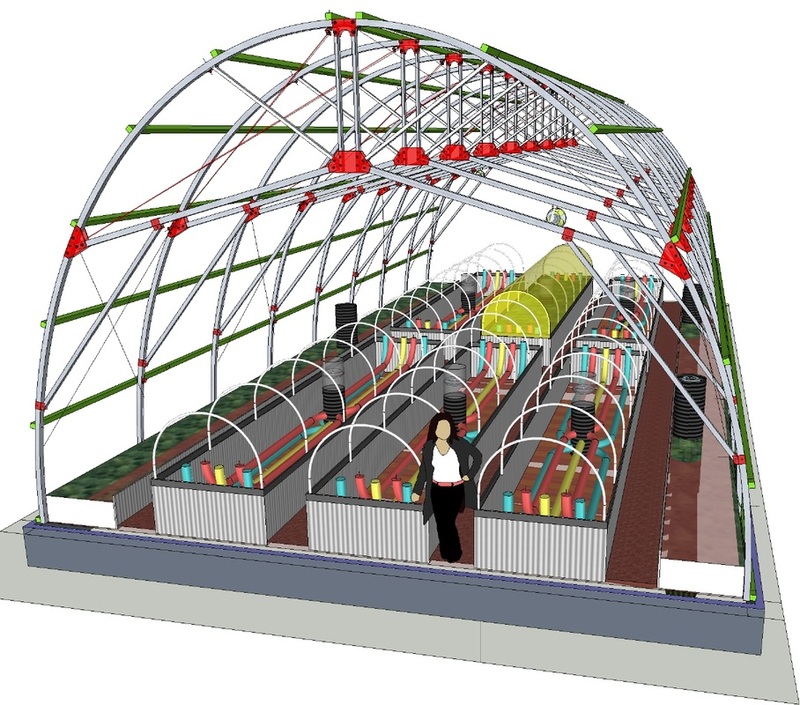 However, we are working on a prototype hybrid model, designed to maximize the economy of the hoop/high tunnel system, yet with sufficient strength to handle winter, and then some. 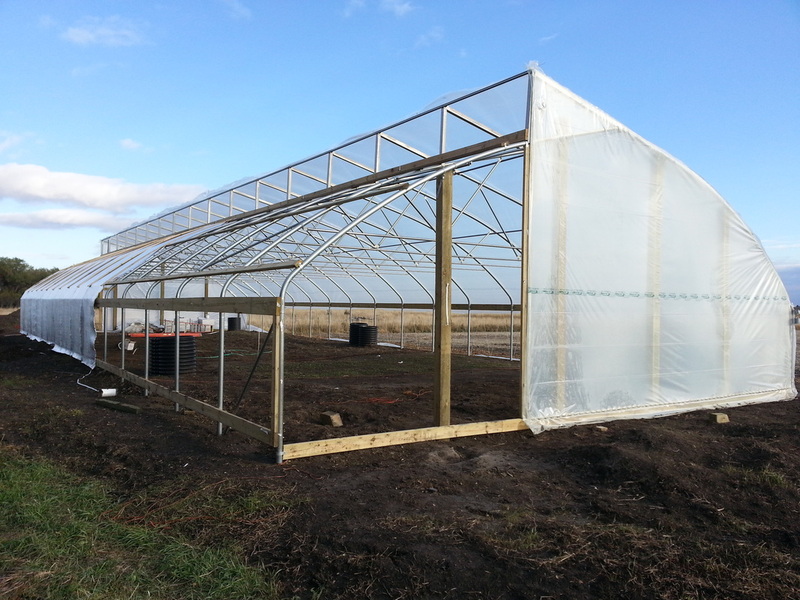 With insulation and energy efficient glazing, this hybrid can help keep you growing year-round with crops 4 - 5 hardiness zones warmer than your outdoor zone. 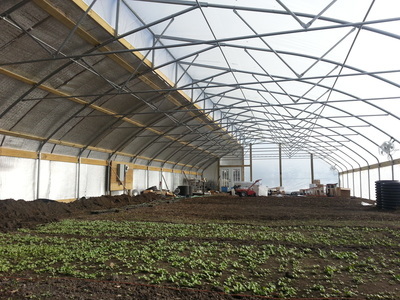 Adding solar heat storage systems will give your greenhouse an even bigger "zone step".